Meet Captain Teggs Stegosaur and the crew of the amazing spaceship DSS Sauropod as the Astrosaurs fight evil across the galaxy! 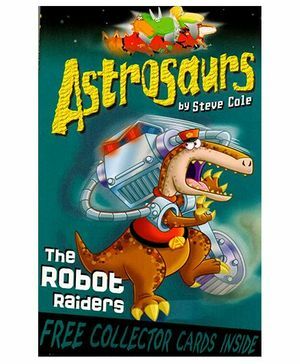 The astrosaurs are called to Mekta, a super-city for rich dinosaurs. But mysterious raiders are stealing Mekta's robot servants. Can Teggs and the gang uncover the computer-crazy criminals in time?